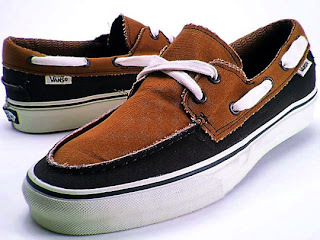 One of the nicer deck shoes to make an appearance so far this year is the Vans Zapato Del Barco. It will come in two new colours this year that include the brown/blue (as seen above) and the black/red. The Zapato Del Barco is probably one of the more versatile shoes and perfect for the weekend at the lake or that semi formal accent. Best part is the price.